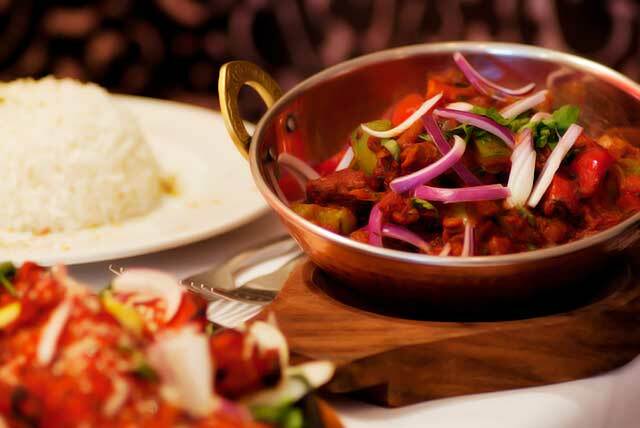 Nakodar is committed to produce the finest quality and most nutritious Indian food using fresh and natural ingredients. 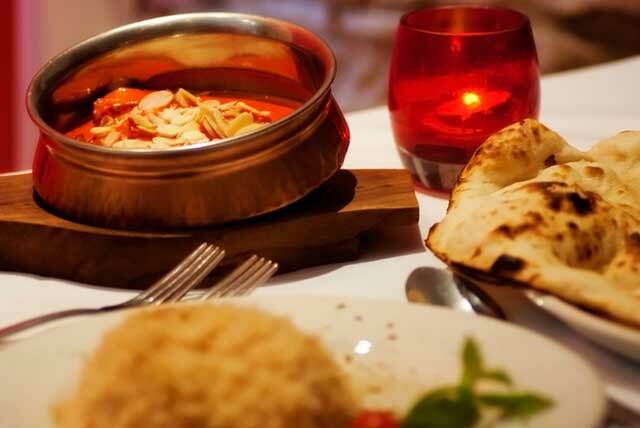 Situated in an 18th Century town house, food is cooked in a bespoke tandoori oven (one of only two of its kind in Scotland), situated front of house, and with over 25 years of family experience and a live tandoori kitchen where you can watch your dishes made in front of your eyes, the Nakodar dining experience will be one you won’t want to miss. We also offer unique, upstairs lounge and bar where customers can wait for their take away in comfortable, plush surroundings. Nakodar (“Na~Ko~Dar”, “Gate of Goodness” ancestral village of the owners) take great pride in presenting the Nakodar Grill to Dennistoun. Nakodar is a city and a municipal council in Jalandhar district in the Indian state of Punjab. The city is almost 424 km from Delhi, 24 km from Jalandhar and about 114 km from Amritsar. Surrounding villages include (Hari pur) Nawan Pind Jattan, Bir Pind, Shankar, Nur Pur Chatha and Sarih Khanpur Dhadda. The Town is of considerable antiquity and had been held in succession by three different races, the Kambohs (Kamboj), the Khanzadahs and then by the muslim Rajputs, traces of whom still exist in the extensive ruins by which the town is surrounded. The town was anciently founded by the Hindu Kamboh, according to Sir William Wilson Hunter and others. The Kamboh settlements lay to the west of present town and the sites are still marked by extensive ruins and two old fine tombs, now called the Black and Red Domes, from the color of the material. Tradition attributes the Kamboh expulsion to the Nawab Kutb Khan who came with an army from Indor near Nuh in 1570 AD. As a consequence, the lordship of the town thus passed over to the Khanzadaas from the Kamboj tribe. Within two generations, the Rajputs got the town in jagir from Emperor Jahangir, in later sixteenth century, apparently divesting the Khanzadahs, the successor race to the Kambohs. The Rajputs were themselves later ousted during Sikh period by one Sardar Tara Singh Ghaiba who made a fort and made himself the master of the surroundings. From Ghaiba, the town was seized by Maharaja Ranjit Singh in 1816. The town is well pave and has thriving appearances and currently forms a Tehsil of District Jalandhar. 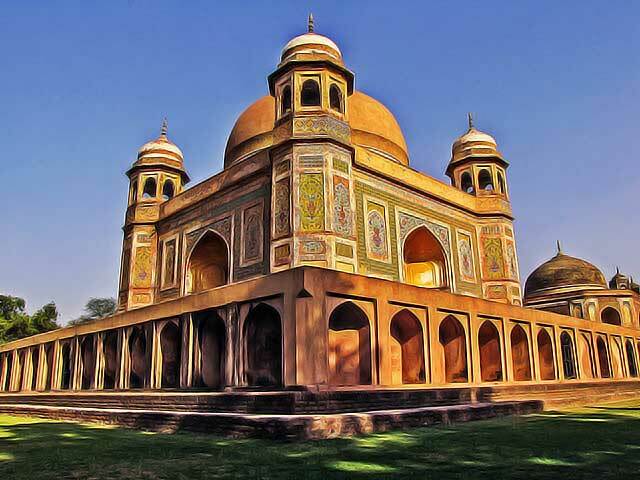 Outside the town, there are two large and handsome tombs dating at least from the times of Emperor Jahangir, later one of them is said to be the burial place of the adviser of Emperor Shah Jahan, but it is known who stand buried in the earlier tomb. Nakodar is the homeland of many popular Punjabi bhangra singers like Sai Hans Raj Hans (Chief Darvesh of LAL Badshah Darbar Nakodar), Gurdas Mann (Ardent Follower of Baba Muradshah Ji Darbar), Malkit Singh, Kaler Kanth, K.S Makhan, Lehmber Hussainpuri and popular Punjabi lyricists like Vijay Dhammi.Jassi Sidhu is another famous singer hailing from the Nakodar area, attending college in the city.Nakodar is also known for one of the best modern punjabi poets Hardial sagar. Population-wise, the surrounding area of Nakodar is currently dominated by 7 Punjab tribes–the Tarkhans, Jatts, Khatris, Rajputs, Lohar, Gujjars and the Kamboj.